French food, light mystery – what’s not to like? Tom Dillon was almost apologetic when he inquired about reviewing Peter Mayle’s latest mystery novel for Briar Patch Books. The book is “light stuff,” he acknowledged. Never fear, I replied. Light is good, too. And on this blog, the only rules are the ones I set. Besides, how can someone whose most recent review was of the audio version of Notorious Nineteen by Janet Evanovich criticize anyone for enjoying “light” literary fare? You probably remember Peter Mayle for the wonderfully droll accounting of his family’s first year in Provence, the region of southeastern France on the Mediterranean and up against the Italian border. Provence is a place of mountains and seacoast that is what we on this side of the pond would call “country,” as opposed to the high-flyers in Paris and on the Riviera. It’s pronounced “pro-VAHNZ,” for the record. I loved A Year in Provence. I still remember Mayle’s neighbor’s description of how quiet it was after the snowstorm, though I unfortunately can’t repeat it in a family-oriented medium like this. Call me if you want to know what the neighbor said. The good news, however, is that Mayle didn’t stop there. He is also the author of 12 previous books, half nonfiction (Encore Provence, French Lessons, Provence A-Z and so on) and half novels, like this new one. Or more precisely, novelettes. If it were summer, this would be a great beach book. 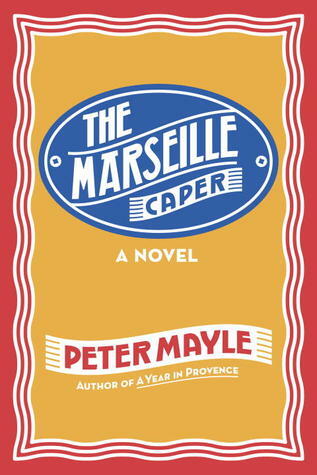 The Marseille Caper, published late in 2012, takes up where the previous novel, The Vintage Caper, left off. In that one, our hero, Sam Levitt, infiltrates the ranks of the French elite to rescue a stolen, priceless wine collection. The caper was at least extra-legal, and even dangerous, and Sam figured it would be quite a while before he returned to Provence, especially with the charms of Elena Morales to keep him in Los Angeles. But here the both of them are in France again, and, surprisingly enough, at the behest of one Frances Reboul, the victim of Sam’s previous heist. The fabulously rich Reboul knows talent when he sees it, and he figures Sam is just the guy to help him win a competition over development on Marseille’s valuable waterfront. Yes, yes, it all sounds unlikely, but that’s never stopped Mayle before, and it doesn’t stop him now. Sam and Elena fly off to Marseille, meet the snooty bigwigs who will decide who gets to develop the property in question, and make several friends who can assist them. Among them are Philippe, a newspaperman, and Daphne, a translator who becomes a nurse. Those do not include, however, Lord Wapping, head of the English syndicate that wants to put up another high-rise hotel on the Marseille waterfront. And Lord Wapping is a dangerous guy, because he has henchmen and toughs who know what to do with tenderfeet who get in their way. Fortunately, Sam is no tenderfoot. That’s probably as far as I should go in telling you about the plot, though I should point out that Reboul’s plans for the waterfront are the most environmentally sensible of any of the proposals put forward. Yes, of course we’re politically correct here. But I do need to tell you about the food. Mayle is nothing if not a gastronomical adventurer, and this book features everything from the best cheese soufflé in Marseille to a wonderful appetizer of flash-dried zucchini flowers – beignets de fleurs – to the requisite pastis and wines of Provence. And that’s only the start. 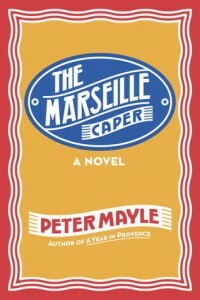 If you like French food and light mystery, you can’t do any better than Peter Mayle’s novels. Even now, I’m starting to wonder if I can put my hands on that bottle of Provencal wine that we have stashed away somewhere down in the wine cellar. This entry was posted in Mysteries and tagged Mystery, Peter Mayle, Provence. Bookmark the permalink.